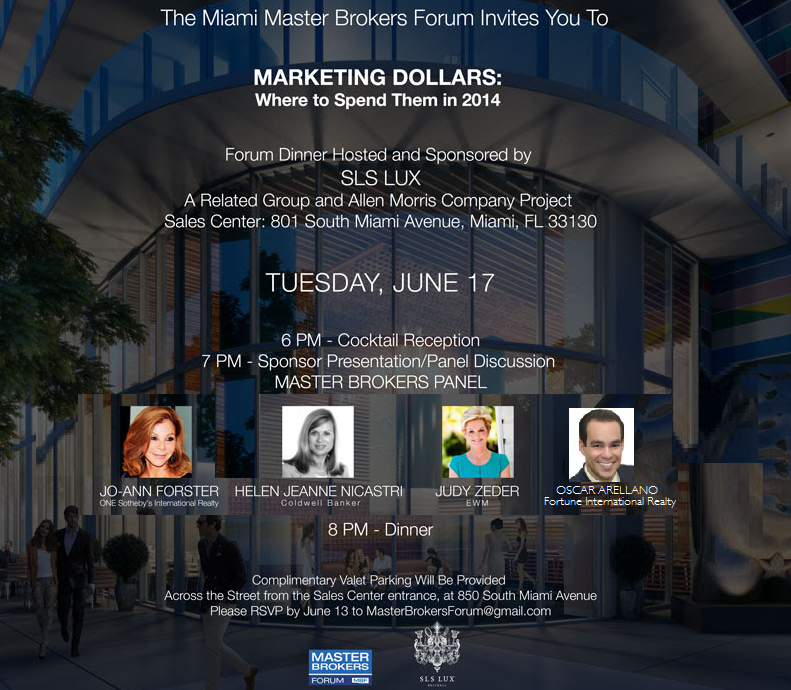 Oscar J. Arellano, Jr. was named a panelist for tonight’s Master Brokers Forum dinner at SLS LUX. 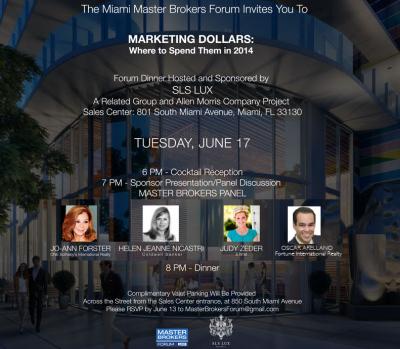 The panelists will be covering several topics, including where to spend your marketing dollars in 2014. The event will be hosted and sponsored by SLS LUX- A Related Group & Allen Morris Company Project, and will be held at the SLS LUX sales center in Brickell. Other panelists include Jo-Ann Foster of ONE Sotheby’s International Realty, Helen Jeanne Nicastri of Coldwell Banker and Judy Zeder of EWM.